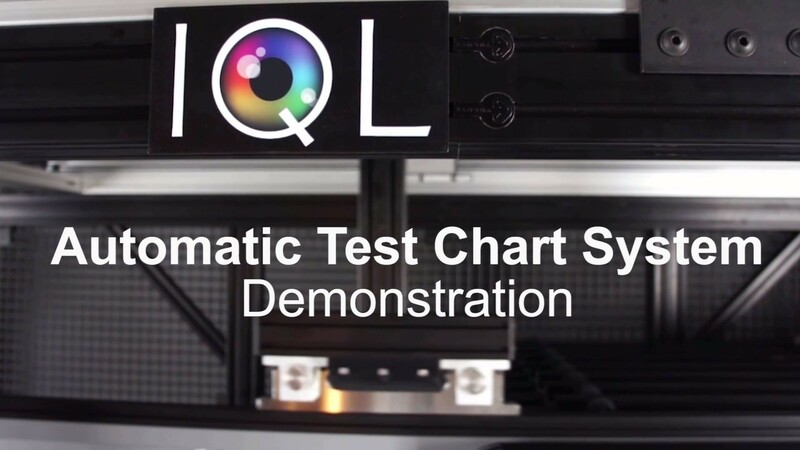 This Automatic Test Chart System offers the greatest efficiency and versatility for your automated test lab. 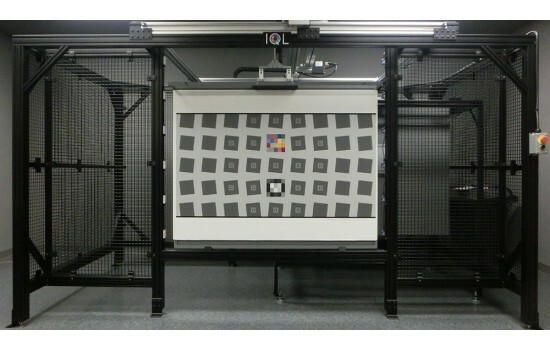 The Automatic Test Chart System uses robotics and custom software for the automatic placement of test charts into the camera measurement area, offering quick interchangeability between many charts at the touch of a button. 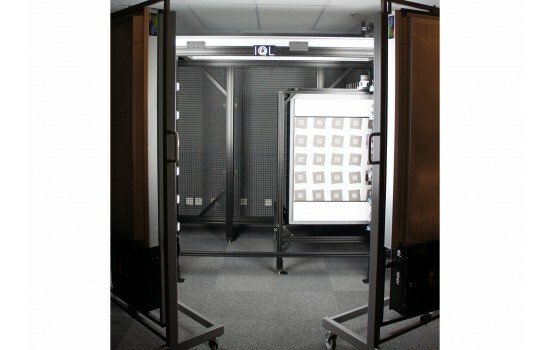 The System's robotic arm carries the test chart into the precise test position, ensuring that each chart will be placed on the same plane, increasing the efficiency and ease of framing the camera. The System uses sensors/detectors to automatically return charts to the correct stowed position when no longer in use. The base system has 8 steel panels, each measuring 48" x 60" (122 x 152.4 cm) and coated with a neutral gray (N5) baked enamel matte finish, to which charts can be easily mounted using magnets. The Automatic Test Chart System was designed specifically to accommodate both small and large-sized test charts. 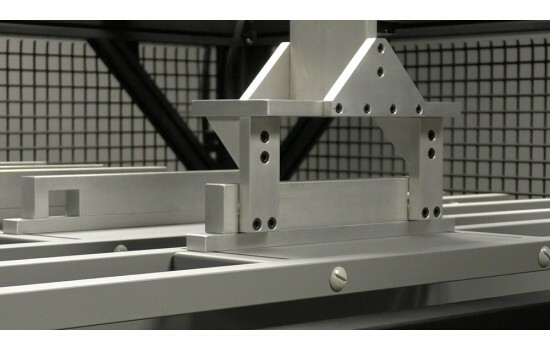 The Automatic Test Chart Mounting System has a number of available options and can be custom built to meet your needs.